Rob Pipkin serves as managing principal for Mohr Partners, Inc., based in the Dallas office. With over 30 years of experience, Rob is responsible for representing and consulting corporate, national and local clients in all aspects of their real estate needs. Upon joining Mohr Partners in 1998, Rob transitioned to the corporate service side of the commercial real estate business. Through these 19 years, he has represented numerous clients on their national and international portfolios. Rob began his commercial real estate career working on behalf of building owners. 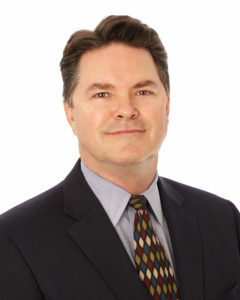 In this endeavor, he has represented landlords ranging from the Prudential Realty Group, one of the nation’s leading owner/developers of commercial real estate, to Granite Properties, one of Dallas’ most aggressive entrepreneurial real estate firms, covering millions of square feet of real estate requirements and consummating over 950 lease transactions. During this tenure, Rob honed his real estate expertise by being involved in every phase of the real estate process including contract negotiation, space planning, construction, administration, and management.